BOB ABERNETHY, anchor: One important element of the Christmas story is the Star of Bethlehem, which guided the Wise Men to Jesus. Over the years, many have wondered just what that star was. Now, modern technology may be providing new answers. Kim Lawton reports. KIM LAWTON: Around the world, it’s one of the most beloved Christmas symbols. And this time of year you can see the star almost everywhere. 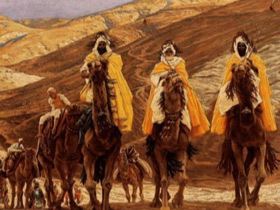 In the Christmas story, a star marked the birth of Jesus and led Wise Men or Magi from the East to find the child in Bethlehem and bring him gifts of gold, frankincense, and myrrh. For centuries, the star has intrigued astronomers, historians, artists, and theologians alike: was it a one-time miracle, a literary myth, or was the Star of Bethlehem an actual astronomical occurrence? Professor RONALD KAITCHUCK (Professor of Physics and Astronomy, Ball State University, Indiana): It’s a fascinating concept. It’s a fascinating question as to whether this is real. 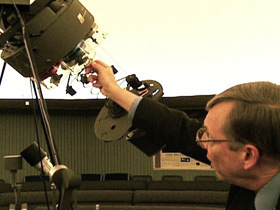 LAWTON: Ronald Kaitchuck teaches astronomy at Ball State University in Indiana and directs the planetarium there. For the last 40 years, Ball State has presented a popular Christmas show offering possible explanations for the Star of Bethlehem. Observatories across the country offer similar programs. (Audio from planetarium show): What we seek is an astronomical object or event that had special significance to the Wise Men, but not necessarily to the general public. LAWTON: Many traditions have arisen about the Wise Men, but the only biblical account is in the Gospel of Matthew, which doesn’t even say how many Magi there were. Most scholars now believe they were court astrologers from Persia or southern Arabia. Finding the star hinges on timing. The birth date of Jesus is not known. According to Matthew, Herod, the King of Judea, was still alive. Scholars disagree about whether Herod died in 4 B.C. or 1 B.C. Modern scientific discoveries and high-speed computers allow people today to calculate what the skies looked like at any given point in history. Many astronomers believe the Star of Bethlehem could have referred to a series of planetary or celestial events as opposed to a single object. 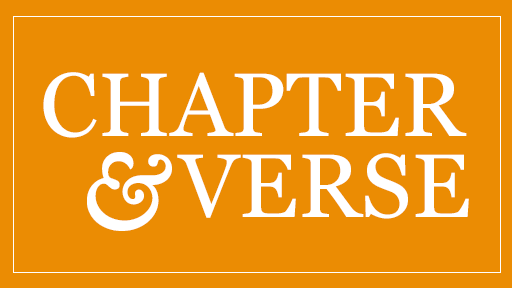 One such series of events occurred beginning in 6 B.C. Prof. KAITCHUCK: Three of the major planets appeared fairly close together in the same part of the sky. That’d be Jupiter, Saturn, and Mars. And then, just a year later, we know from Chinese records there was a nova — an exploding star. LAWTON: Despite years of studying the possibilities, Kaitchuck says he hasn’t reached a conclusion about what the star might have been. 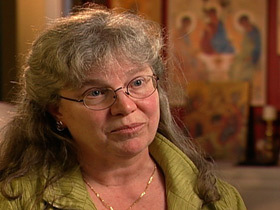 Prof. KAITCHUCK: You see lots and lots of things that are all like maybes — very definite maybes. 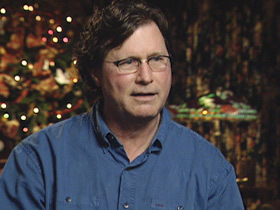 LAWTON: In College Station, Texas, law professor Rick Larson believes he may have identified the real Star of Bethlehem. Larson is making presentations about his theory at venues around the world, and he’s just released a new DVD about it. Larson is an evangelical Christian. He began his star quest several years ago after he and his daughter made some Wise Men Christmas decorations for their front yard. LAWTON: Using his legal research skills, Larson looked for clues about the star in the second chapter of Matthew. Dr. LARSON: When the Magi arrived from the east, perhaps traveling from Persia or perhaps Babylon, they asked a question, and it’s loaded. They say, “Where is the one who has been born King of the Jews?” Now something they’d seen in the sky suggested to them a connection with birth, kings, and the Jewish nation, and they saw the star when they arrived in Jerusalem. So it endures over time. So that’s another clue, because most celestial objects endure over time, but not all do. LAWTON: Larson bought an astronomy computer program and started searching calculations of what the ancient skies looked like. 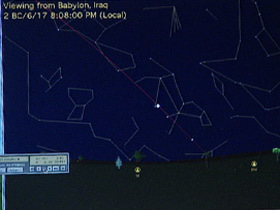 Dr. LARSON (pointing to map of sky): If you’re in Babylon looking west, you’re looking towards Judea. LAWTON: And so if the Wise Men, the Magi, were in Babylon, this is what they would have been seeing? Dr. LARSON: This is what they would see. LAWTON: Larson also considered the particular meanings that constellations and planets had in those days. Jupiter, for example, was the King planet and Venus, the Mother planet. In June of 2 B.C., Jupiter and Venus came together in an extremely rare conjunction. Dr. LARSON (in presentation): So we have the King planet and the Mother planet now coming into extremely close approach. Well, how close were they? LAWTON: Close enough, Larson says, to really get the Magi’s attention. Dr. LARSON: And the result of them being so close is that, because they couldn’t separate them with the naked eye, is that it appeared to be the brightest star anyone alive had ever seen, and I actually think that this is the star that got them on their camels to travel all the way to Jerusalem. LAWTON: Nine months earlier, there was another series of spectacular celestial events laden with symbolism. Larson says it matches a vision recorded by Saint John in the Book of Revelation. He believes this could coincide with Christ’s conception. Using the same timetable, in 33 A.D. a lunar eclipse matches biblical accounts describing the day Jesus was crucified. Dr. LARSON: I believe the Star of Bethlehem is just the beginning of a celestial poem that ends at Christ’s death at the crucifixion. LAWTON: Seeing that poem, Larson says, strengthened his faith and revealed a new side of God. Dr. LARSON: And to see that he would write in the sky, from before time, celestial poetry to announce the coming and passing of our Messiah took me to a different place, took me a place where I could see beauty in our creator that I hadn’t known. LAWTON: Some Christians worry that trying to explain the Star of Bethlehem could detract from the miraculous aspects of the Christmas story. FREDERICA MATHEWES-GREEN (Author): I would really hate for the focus on uncovering what this was historically or scientifically or astronomically to eclipse the fact that this is a star of wonder. The star that’s at the center of that part of the story is such an object of wonder because we don’t understand what it is. LAWTON: Mathewes-Green is an Eastern Orthodox Christian. She says the star may be ultimately unexplainable, just like the basic Christian belief that Jesus was God in human flesh. MATHEWES-GREEN: I think that’s one of the things that the star speaks to us, that in its brilliance, its luminosity, its elevated qualities, but yet participating in this very same universe that we’re in, that it shows us the depths of the story and, just as it led the Wise Men, it leads us as well deeper and deeper into the mystery.